In 2013, 63 percent of Los Angeles voters approved Proposition D, which granted limited immunity to 135 medical marijuana dispensaries. Since the passage of Proposition D, more than 1,000 illegal operators have impacted neighborhoods. Many of the illegal locations are open within close proximity to schools, churches and parks—and few, if any, illegal dispensaries pay state and local taxes. 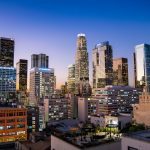 This led to the creation of the United Cannabis Business Alliance (UCBA), formed with over twenty-five of the Proposition-D compliant medical marijuana dispensaries operating legally within the City of Los Angeles. Besides being the interim executive director for UCBA, EKA played a direct role in placing Proposition N on the city ballot. Our scope included rolling out a full campaign from signature gathering to fundraising. We also lobbied the city on behalf of UCBA, in order to keep the council informed of what UCBA was doing and to prepare for the city’s next steps. Within six weeks, UCBA needed to have over 100,000 valid registered voter signatures. To ensure UCBA reached their goal. UCBA collected over 104,000 signatures and Proposition N was placed on the ballot for March 2017. UCBA ended up abandoning support for this measure to support the City’s own measure, which was placed after UCBA ended their campaign. Although Proposition M was not authored by UCBA, they believed supporting the city was important. Proposition M was passed overwhelmingly by voters. The city is now on its way to creating cannabis regulations that give priority to Prop D shops, open the industry through a licensing system, create a social equity program and increase enforcement measures against illegal shops.